Hunger can be your biggest enemy when you're embarking on a weight-loss diet. Filling your meals and snacks with low-calorie foods can help you win the battle. The zero point list from Weight Watchers contains a number of low-cal options that might aid in hunger control and help you stick to your weight-loss plan. Be sure to consult your doctor for guidance and suggestions before attempting a weight-loss diet. Instead of counting calories, Weight Watchers uses a point system to help control what you eat to lose weight. A mathematical equation focused on saturated fat, sugar, carb and calorie content is used to determine the point value for a food. 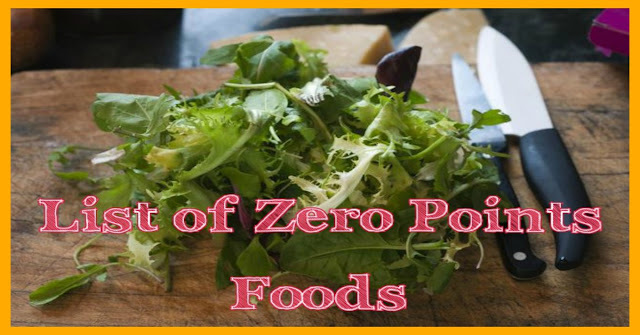 Zero point foods are low in all these categories. All fresh fruit and most vegetables have zero points, with the exception of starchy vegetables such as corn or potatoes. In addition to helping fill you up without costing you any points, the list is used to help dieters on the Weight Watchers program make healthier food choices. People who eat more vegetables tend to weigh less. Veggies are low in calories and high in fiber, so they fill you up without making too much of an impact on your calorie intake. Any nonstarchy vegetable is a zero point food. These include broccoli, cauliflower, carrots, cucumbers, peppers, onions, snow peas, zucchini, greens and lettuce. When you feel a little hungry while following the Weight Watchers diet, you can make yourself a salad and enjoy it without having to worry about points. As with veggies, eating more fruit might help you weigh less. Although not as low in calories as nonstarchy vegetables, fruit is still lower in calories than a cookie or an ice cream cone, and it's more nutritious too. Any fresh fruit, even those banned from other diets such as grapes and bananas, have zero points on the Weight Watchers plan. Apples, oranges, strawberries, kiwi, watermelon and pears have zero points. Eating these healthy foods satisfies your taste buds and your appetite. Add sliced strawberries to your zero point salad for a touch of sweetness. You can flavor your food without feeling guilty with a number of different items on the zero point list, such as vinegar, lemon or lime juice, hot sauce, ketchup, mustard, salsa and soy sauce. Drizzle a little vinegar on your salad to complete your zero point snack. Broth, which you can sip on a cold day to keep you warm and satisfy your craving for something savory, is also a zero point food. You can consume sugar-free ice pops, diet soda and sugar-free gelatin without sacrificing any of your points as well.